Each month on the Stay in Wisconsin Blog, we’ll feature a group of properties and showcase their amenities (and sometimes even a great deal!) We’ve got nine picks for June – check them out here or at wisconsinlodging.org. Door County lodging! Indoor pool and whirlpool, suites with whirlpool and fireplace, hotel-motel rooms. Across from Door County shops, Peninsula School of Arts, Door Community Auditorium. By dining, gorgeous Peninsula State Park, biking, hiking, golfing, lighthouse, vistas, sunsets, Door County winery, x-skiing, sleigh rides. Off-seasonWEEKDAY specials $69-$139. 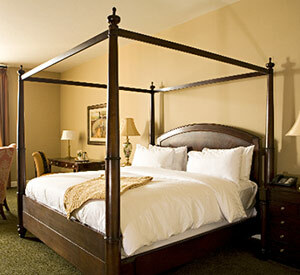 The award winning Kress Inn offers distinctive service and quality accommodations. The hotel is just minutes away from area attractions and is located on the scenic St. Norbert College campus, home of the Green Bay Packers Training Camp. Complimentary continental breakfast, airport transportation and high speed wireless Internet provided. 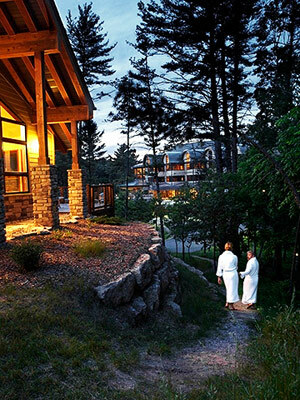 This classic Northwoods resort has been rated by Midwest Living magazine as a top resort families love. Located on 1000 acres of woods and water, the resort has guest rooms, cottages, two executive homes and an excellent restaurant. Holiday Acres offers a variety of recreation, including an indoor pool, sauna, tennis, nature trail, waterskiing and fishing. 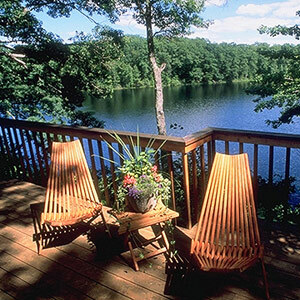 Retreat, Relax, Rediscover-Your Place UpNorth! Ask about June Special Prices to celebrate our 60th anniversary!! Popp’s Resort is located northwest of Crivitz in Northeastern Wisconsin, on High Falls Flowage. High Falls is known for Bass, Northern, Walleye, Musky and Panfish in a Canadian setting. Popp’s offers Lakeview Cottages, Lakeshore Cottages, Deluxe Lakeshore Homes, Motel Suites, bait shop, pontoon/boat rentals, restaurant and bar. Suite Summer Specials: Perhaps you’re one of our loyal summer visitors. Or maybe you’re someone who is eager to, at last, get a Sundara summer getaway on the calendar. Either way, let’s get you here with these alluring rates for June and July. Suites starting at $149 in June and starting at $189 in July. Available Sunday through Thursday only. Based on availability. Parkwood Lodge – Door County featuring affordable lodge rooms, kitchenettes and suites with wood burning fireplaces. The resort has an indoor pool and whirlpool, game room, tennis courts, playground, grills and picnic tables. Great location between Fish Creek and Ephraim near Peninsula State Park at 3775 State Hwy. 42. Close to shopping, restaurants and the Skyway Drive-In movie theater. 6 unit, 2 story condo on Elk Lake, on snowmobile trail. 2-3 & 4 bedrooms with 1.5 baths-living/dining room & full kitchen. 2 units w/ whirlpools. Why go to the Carribean to vacation on an island? Try Gypsy Villa Resort in Wisconsin. Probably less than a tank away! A1 clean vacation homes, beach, dock and pontoon boat. 100 acre island in Cranberry Lake, part of the longest chain of lakes in the world! Dine, golf, or shop by boat! …then you’ll find much to love about Wisconsin this weekend! Here’s just a quick look at eight places to explore great music, great dancing & GREAT FUN! Billed as “five days of non-stop, world-class entertainment featuring country music’s biggest and hottest headliners“, Country USA features a “$2.1 million dollar talent lineup, coming together for the biggest show of them all.” PLUS great food & shopping. Held in Krouskop Park, Star Spangled Celebration brings country music to southwest Wisconsin. Headliners include Dierks Bentley, Daryl Worley, Phil Vasser, Neal McCoy and Wynonna Judd. And even MORE of country music’s hottest stars will be in northwest Wisconsin as well: The line-up includes Blake Shelton, Lady Antebellum, Tim McGraw, Toby Keith, Darius Rucker & Reba. Billed as “northern Wisconsin’s most popular dance jazz orchestra” the Big Woods Big Band will be performing at STAGENORTH in Washburn Friday night. Includes free swing dance lessons before the concert as well! Held in Waukesha’s Frame Park, festival goers will find “a wide variety of Hispanic entertainment” plus “Latin American cuisine, amusements rides, children’s area, youth tent and arts/crafts marketplace.” Free admission for all. Friday night kicks off three days of great polka bands. Admission from $6 (Friday), $10 (Saturday) and $9 (Sunday). Great Polka music and dancing from Friday to Sunday plus Bingo, Fish Fry, Craft Sale, Beer Garden & more! And the big daddy of them all… Summerfest in Milwaukee – 11 days of music featuring more than 800 bands across 11 stages: June 24th – July 4th. Wisconsin Dells named a top family destination in the world! WOW – check out the great TripAdvisor lists of top travel destinations! Wisconsin Dells was named the third best family destination in the WORLD, behind EuroDisney in France and Tokyo Disney in Japan. What an honor! Shaped by the currents and curves of the Wisconsin River, Wisconsin Dells has been a favorite family vacation destination for more than 150 years. An explosion of indoor water parks has turned the Dells from a summer hot spot to a year-round destination. Kids will enjoy the seemingly endless supply of fun and games, from go-karts to miniature golf, sideshows to thrill rides. If the weather’s right, you can take a Duck tour of land and water, and top it all off with a heaping helping of the local fudge. Wisconsin Dells really does have everything, from elegant B&Bs and family-owned motels to familiar chain hotels and mega-waterpark properties. Already thinking of checking out the Dells this summer? There are plenty of tools at wisconsinlodging.org to help you plan your trip. Search by type of property (hotel, motel, B&B, etc. ), search for places to bring your pet or facilities with waterparks, even book your room, all at the same Web site. Take your pick from nearly 150 Wisconsin Dells/Lake Delton area properties! Thank you to the 1,112 people who voted in our first Lodging Directory Cover Contest! Cover #3, the Four Seasons Resort on Miscauno Island in Pembine, WI, has been declared the winner, securing 46% of the votes. Look for a copy of the 2011 Wisconsin Lodging Directory starting in January! Heidel House Resort & Spa Romantic Escape Package winner: Contratulations to Jennifer Rafalski, the lucky voter to win the Heidel House giveaway! Missed out on the giveaway? 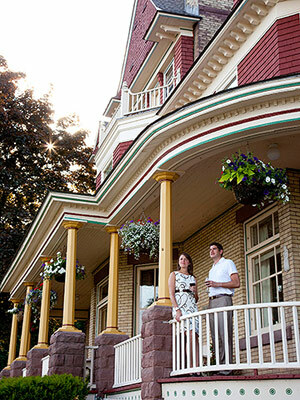 We’ve been giving away a free night of lodging each month to readers of the WisconsINN Getaways monthly e-mail! The e-mail is packed with great deals and last-minute savings for your Wisconsin vacation. Sign up and you could win a free night of lodging at Ross’ Teal Lake Lodge in Hayward! Midwest Living lists their pick of 17 Fabulous One-Stop Weekend Escapes here. Four of the 17 are here in Wisconsin – the most from any of the ten states on the list! Hmmmmmm……. Adults only? Secluded in Wisconsin’s North Woods? “Fresh flowers, baked goods and steaming coffee discreetly delivered each morning“? Canoe Bay/ Relais & Chateaux definitely earns the title of Fabulous! Located in charming Delafield, less than a half hour west of Milwaukee and only 50 minutes east of Madison, The Delafield Hotel‘s “luxury lodging provides a great base for a weekend getaway”. When your travels take you to Wisconsin’s far north, be sure to check out the “luxurious rooms and suites with up-to-date amenities (minus TVs)” at the Old Rittenhouse Inn. Also making headlines as a “Mountain Hideaway Right in the Midwest”, is the Percheron Paradise Romantic Hideaway near La Crosse. Describing their chalet as “immaculately clean and beautifully decorated with a nearly complete wrap around deck and extras such as sparkling apple juice, wine glasses and a candle that were ours to keep“, the author also shares ideas on things to do in the area – if you can be tempted to leave the 200+ acres of quiet seclusion! Click on over and read the full article here.